ATLANTA (Aug. 14, 2017) – Bowl lovers can rejoice as Chick-fil-A® today launches the new Hash Brown Scramble, the first breakfast bowl for the national quick-service restaurant company. Joining the popular Egg White Grill, the new breakfast item brings another protein-packed choice for customers eating breakfast on-the-go. 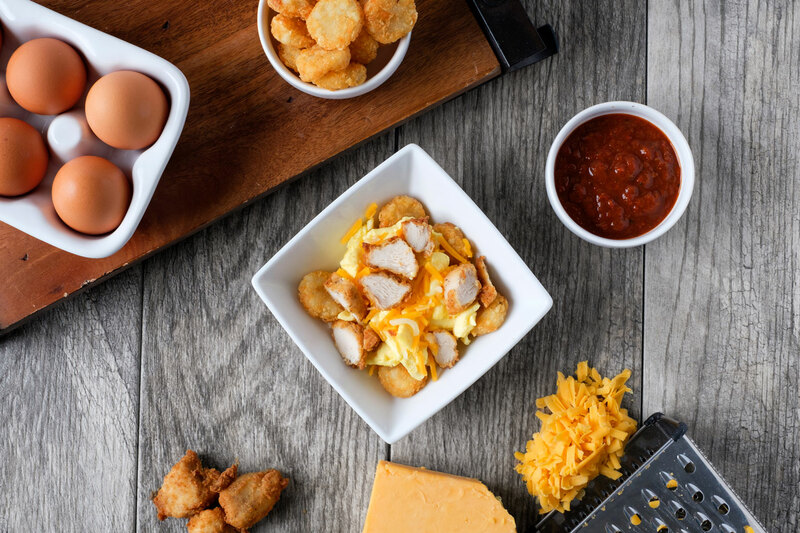 The Hash Brown Scramble is a hearty breakfast option made with Chick-fil-A’s signature “tot” style Hash Browns, scrambled eggs, a Monterey Jack and cheddar cheese blend and a choice of sliced Chick-fil-A Nuggets or sausage. Served with Jalapeño Salsa, the scramble can be enjoyed in a bowl or as a burrito. The Hash Brown Scramble joins the menu nationwide following successful tests in several markets in 2016 and 2017. The Hash Brown Scramble Burrito will replace the current Breakfast Burrito. The Hash Brown Scramble Bowl has 450 calories and 30 grams of protein when made with nuggets. The bowl and burrito start at $3.49. For more information about Chick-fil-A and stories about the company’s food, people and customers across the country, visit thechickenwire.chick-fil-a.com.